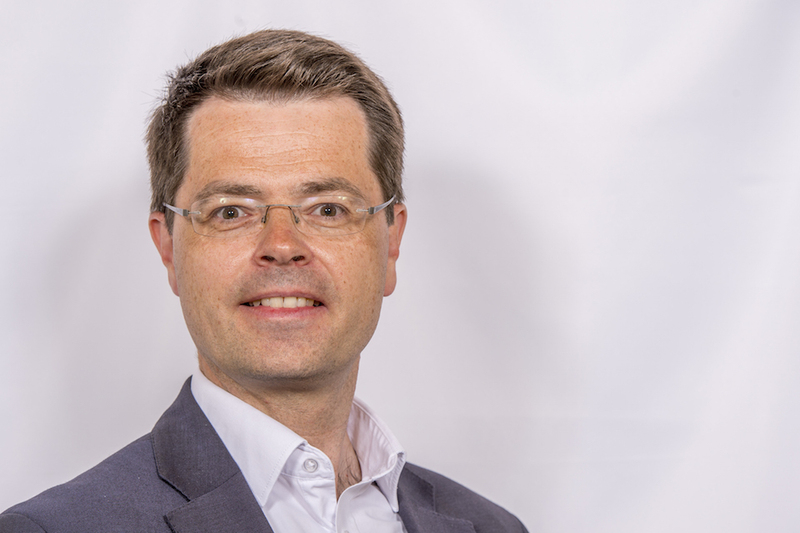 On Friday 31 March James Brokenshire delivered a speech at the Ulster Farmers' Union Annual Dinner. I would like to begin by congratulating President Barcley Bell and guests for this celebration of all that is good with Northern Ireland food and farming. And it is right that we take the time to promote and celebrate the success of the industry given its vital contribution to the economy of Northern Ireland – not least as we approach the UFU’s centenary year in 2018. I may not know the ins and outs of a stripper sow or a well sprung heifer, but I do understand how fundamental agriculture is to Northern Ireland. With a 48,000 strong workforce, agriculture is one of Northern Ireland’s most significant employers. Its 25,000 farms cover over 1 million hectares, with its farmers, food producers and traditional food crafts NI produce is renowned at home and abroad. And you also play a key role in contributing to the £4.5bn annual turnover of the agri-food industry as a whole, helping to deliver a stronger, more secure economy in Northern Ireland. And as tonight reminds us it is not just an industry committed to growing the economy but a social and cultural force too. One that supports rural communities and networks, investing in the next generation so it can thrive – with projects like the Next Generation Forum and the Land Mobility Project, which will help the industry realize its ambitious plan for the next 20 years. So tonight is a welcome opportunity to showcase the best of the industry, and to set out the importance of working together to reinforce and strengthen its opportunities for growth. But people in Northern Ireland also need to have a stable base from which to seize those opportunities. And that means stable government. As a Government we are doing everything we can to secure the resumption of the Executive and end the ongoing uncertainty and disruption. And I hope that all here today will underline the need for constructive engagement to reach a positive conclusion as quickly as possible in the critical weeks to come. But coming back to tonight, I want to acknowledge the many innovative and creative farmers here in Northern Ireland who are at the forefront of their sectors. Whether that be the well-trusted Wilson’s Country Potato range; the Forest Feast portfolio that sells in 36 countries worldwide; the innovative apple juices and ciders of the McCann family of Co. Armagh; or diversification projects like the Hillstown farm shop on the Logan family farm in Randalstown – the agri-food industry here punches well above its weight. And it is essential that the industry as a whole will continue to innovate and to capitalise on growth opportunities, as it reaches out to new and existing markets. I will continue to engage with the industry to do just that – including by looking at how to leverage new opportunities as we leave the European Union. And it is perhaps worth me pausing to say a few words on that subject, because I am keenly aware - from my Business Advisory Group engagements and remarks again here tonight – of the strong interest there is about our way forward, especially now that we have triggered the Article 50 process. As the Prime Minister set out in her letter to President Tusk, we are clear in our intent in wanting to secure tariff-free and barrier-free trade. We want to agree a deep and special partnership between the UK and the EU, taking in both economic and security cooperation. And as Secretary of State, I am fully committed to ensuring that the unique interests of Northern Ireland will be protected and advanced, and the UK’s unique relationship with the Republic of Ireland recognised. It is notable that the Prime Minister included a specific reference to this unique relationship as a priority in the Article 50 letter which also set out the desire to avoid any return to a hard border. Those here today can be assured that we are going to make the most of the opportunities that our departure presents to Northern Ireland. In particular we will prioritise an outcome that means the land border remains as seamless and frictionless as possible, recognising the particular issues for businesses, like many of those represented here tonight, with complex cross-border supply chains and distinct animal and plant health regimes. Earlier this week we published the Great Repeal Bill White Paper to provide clarity and certainty for businesses, workers and consumers across the United Kingdom on the day we leave the EU. As powers return from the EU, we have an opportunity to determine the level best placed to take decisions on these issues, ensuring power sits closer to the people of the United Kingdom than ever before. In some areas, this will require common UK frameworks. Decisions will be required about where a common framework is needed and, if it is, how it might be established. The devolved administrations also acknowledge the importance of common UK frameworks. We will work closely to deliver an approach that works for the whole of the United Kingdom and reflects the needs and individual circumstances of England, Scotland, Wales and Northern Ireland. And working together, we can deliver our vision for a world-leading, secure agri-food industry and a cleaner, healthier environment, benefiting people and the economy alike. I know the Environment Secretary Andrea Leadsom enjoyed her visit to Northern Ireland at the end of last year. I have had the opportunity to meet some representatives of the agri-food sector in Northern Ireland. Parliamentary Under Secretary of State Lord Dunlop has also taken a keen interest in the local sector. I know many of you will have spoken to him in recent weeks. At the recent National Farmers’ Union Conference the Environment Secretary set out her priorities for building world-leading food and farming industries. She is very clear that we have a significant opportunity to design new, better and more efficient policies for delivering sustainable and productive farming, land management and rural communities. I am also pleased that the Treasury has provided a guarantee to the agricultural sector that it will receive the same level of funding that it would have received under Pillar 1 of CAP until the end of the MFF (Multiannual Financial Framework) in 2020. It provides certainty and continuity while we develop a new approach to supporting agriculture and protecting our precious countryside. Mr President, there is much to acknowledge, much be positive about, and much to celebrate this evening. I would like to once again thank President Bell and guests for the hospitality extended to me, and look forward to continuing to celebrate the many successes of the industry now and in the years to come.